White opaque solid, easy deliquescence. 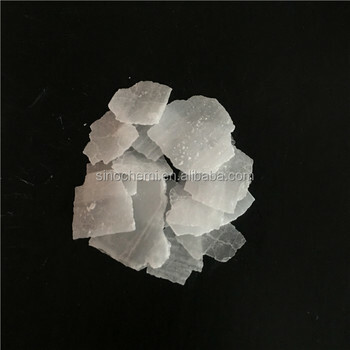 Solubility: soluble in water, ethanol, glycerin, insoluble in acetone.NAOH is widely used in metallurgy, petroleum, chemicals, textile, paper making, printing and dyeing, soap industry, pharmacy and food industry, metal hard wares etc. 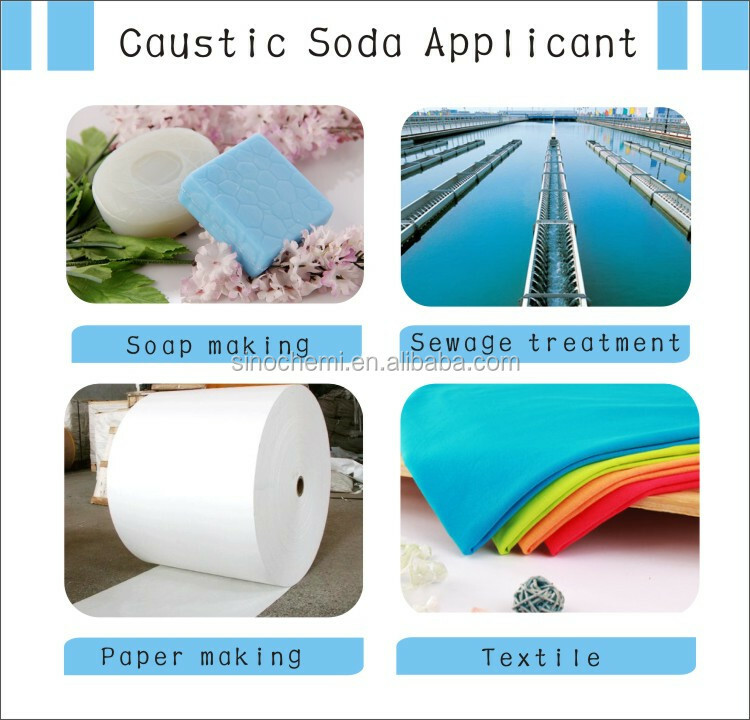 4) water softening and treatment, 8) food and drug industry etc. 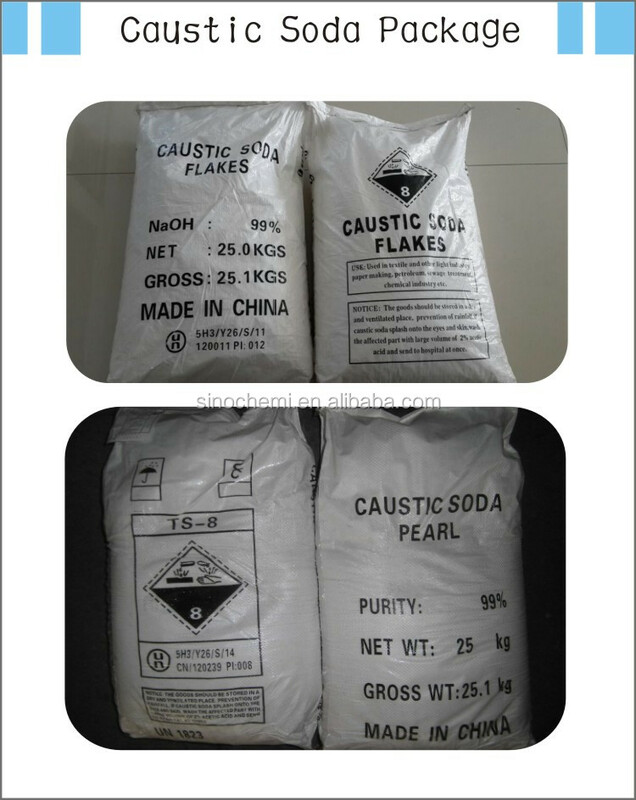 Flakes/Pearls:1,25KG P.W. 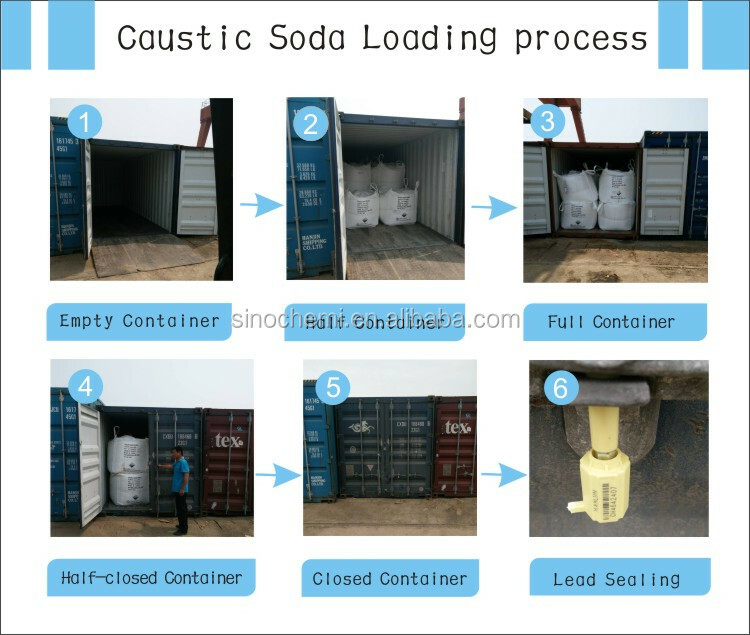 Bags,25MT/20'FCL/Jumbo Bag, Or according to customers' special requirements. Solid: in 200/400KG Iron Drums. 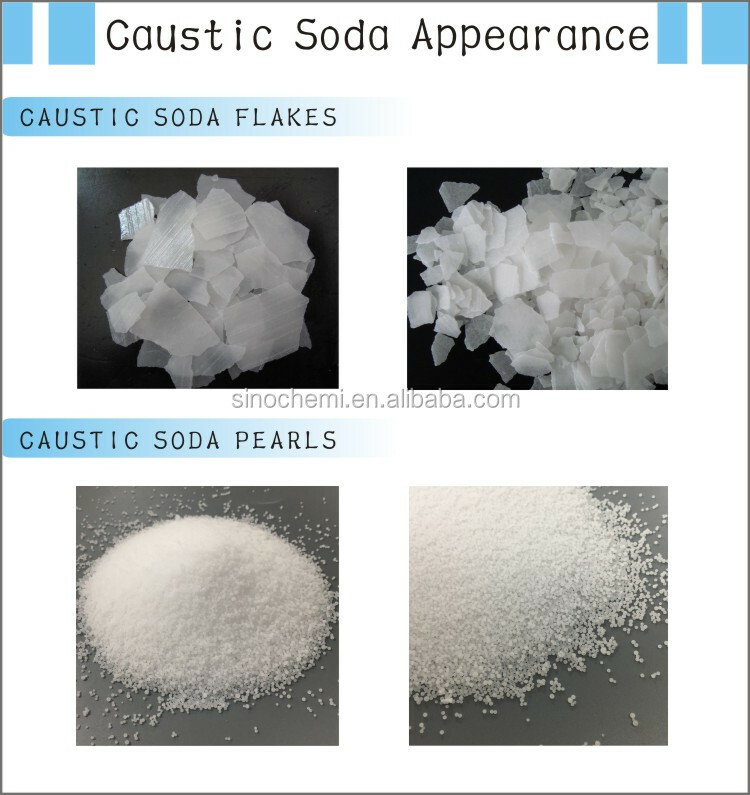 Due to its strong causticity, protective glasses and gloves must be applied during the using of caustic soda. 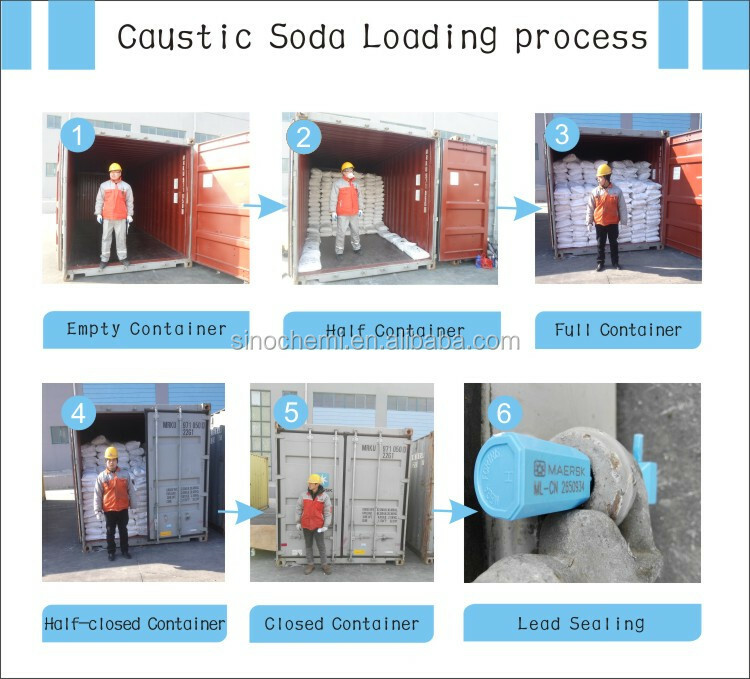 The packing be kept in good & dry condition, to avoid breakage, contamination, damp and acid substances.